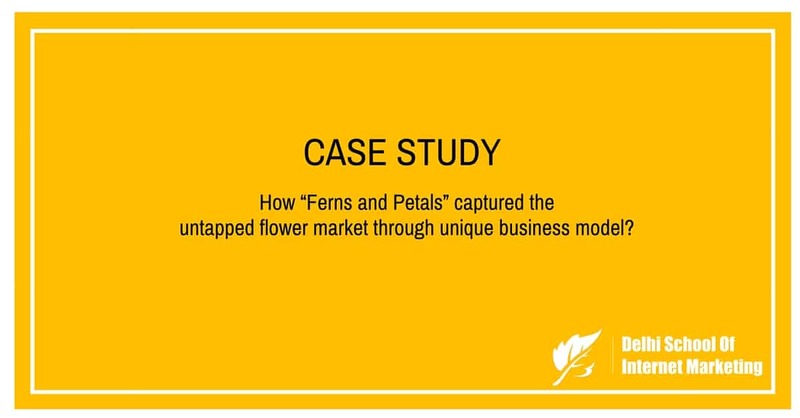 Case Study:How “Ferns and Petals” captured the untapped flower market through unique business model? Home > Blog > Blog > Case Study:How “Ferns and Petals” captured the untapped flower market through unique business model? Ferns N Petals (FNP) is a flower and gifts retailer started by Vikaas Gutgutia in 1994. Today the brand owns 194 outlets in 74 cities nationwide and delivers to more than 155 countries. FNP is the single and largest organized flower retailer in India and is also one of the largest among flower retailers in the world. Ferns N Petals Group comprises FNP Retail & Franchising, FNP E-commerce, FNP Weddings & Events, Floral Touch, FNP Select, Luxury Weddings, FNP Floral Design School, GiftsbyMeeta & Flagship store. Customers use it for buying flowers for occasions, floral décor for weddings, parties or for sending flowers to others. Eight years back, a college student in Phagwara, Punjab, ordered for an entire shop full of flowers to be sent to his fiancée with cost of Rs 1 lakh. Although he didn’t had the money, but was able to convince the shopkeeper to accept the payment in installments. It’s such often an irrational demands – and acceding to them – that has helped Vikaas Gutgutia build Ferns N Petals from INR30 crore business into a thriving INR145 crore business with profits of INR13 crore in fiscal 2012 and INR 200 crore turnover in last fiscal year. “There was no flower shop in Phagwara then so we had to send the flowers from Delhi. It emptied one of our shops that day, but a customer is a customer,” says the 43-year-old founder of FNP. 21years after he began the business, FNP remains the pioneer and only national-level organized retailer selling flowers. Small wonder that investors including private equity firm Warbus Pincus and financial services house Motilal Oswal are in negotiations with FNP to pick up a stake in it. FNP’s business model has expanded over the years to include combinations of flowers with cakes, cards, chocolates and other such gifts; within the gifting space it has diversified into nine verticals: events, e-commerce, gardens, weddings, retail, franchising, rentals, handicrafts and luxury stores branded FNP Tahiliani. An overseas venture and an FNP school of floral designing are this entrepreneur’s latest forays. 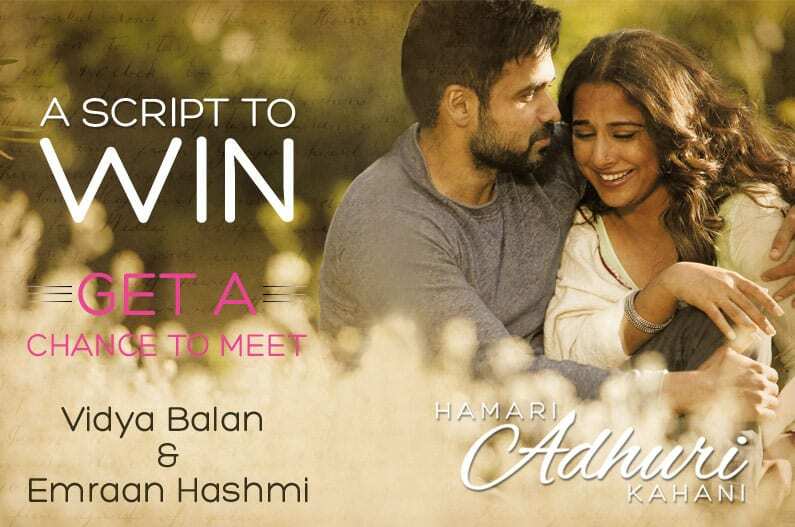 Born in a modest middle-class home in Vidya Sagar, a village in Bihar, Gutgutia, whose father was a government contractor, moved to Kolkata after school. After graduating in commerce, he started helping in his uncle’s business which was a small flower shop in Kolkata. “I got a basic idea of how the flower business worked, but I never considered it a career option because I thought it wouldn’t give me big returns,” Gutgutia says. Two years of exploring business opportunities in Mumbai and Delhi – and a girlfriend—made him change his mind. In 1994, when he sent flowers to his girlfriend in Delhi on her birthday, the florist did a “pathetic job”, which was not a good experience. Surely I could do better, reflected Gutgutia. Thus taking lesson from this bad experience, Gutgutia opened the first FNP shop on Delhi’s South-Ex pavement. “There was no air-conditioned flower shop in Delhi … all flowers were sold roadside. I had just Rs 5,000 but was lucky to find a partner who invested Rs 2.5 lakh in the business and later cashed out,” he says. Over the years, Gutgutia has systematically gone about segmenting the business. For instance, at the high end he joined hands with fashion designer Tarun Tahiliani to set up luxury floral boutiques branded FNP Tahiliani. There are two such stores in the country today and probably one more will come up in Mumbai soon. And Gutgutia has just formalized an association for luxury weddings with another designer and old friend J. J. Valaya. Gutgutia has his share of failures. One of his ventures, a foray into street foods, was in his words “absolutely disastrous”. Riding on the success of FNP, five years ago Gutgutia began a venture called ‘Chatak Chaat,’ a chain serving north Indian street foods. “I thought I had another brand up my sleeve…I if I could do magic with flowers, I could do the same with chaat. But the venture failed and it has been my biggest lesson in business,” he says. The failed venture resulted in a loss of about Rs 25 crore for Gutgutia. FNP’s business model has expanded over the years to include combinations of flowers with cakes, cards, chocolates and other such gifts; within the gifting space it has diversified into nine verticals: events, e-commerce, gardens, weddings, retail, franchising, rentals, handicrafts and luxury stores branded FNP Tahiliani. An overseas venture and an FNP school of floral designing are latest forays. To showcase Ferns N Petals as the perfect gifting partner with its wonderful gifts for the celebration of Valentine Day. Each of the day before the big day like the Rose Day, Propose Day, Chocolate Day, Teddy Day, Promise Day, Kiss Day, Hug Day were celebrated with relevant gifts being recommended for each occasion. People were encouraged to buy through social media and were given special coupons for the same. People were also encouraged to pre-order their gifts for timely delivery. FNP Valentine contest was held wherein people were asked questions about valentine and love in general and invited responses from people. Social Media was also used as a channel for complaint redressal. FNP received 150 complaints during 14 days of the campaign through Facebook, Twitter and Google Plus. Social media channels were used to placate the dissatisfied customers and all complaints were resolved through the customer service team. Positive customer feedback was shared on all platforms. FNP recently tie-up with TATA sky to enable any TATA sky customers to order flowers from the comforts of their drawing rooms. Discount coupons are provided for the customers to get benefit while online ordering. The social media platform Facebook has witnessed its success with around 1.2 lacs fans and over 2500 followers on Twitter. After setting up shops in tier II and tier III markets like Coimbatore, Tirupati, Nellore and Sangli, FNP is targeting cities like Kottayam, Bhillai, Jalandhar, Amritsar, and Bilaspur. “We’re going wherever there’s demand,” says Gadia, adding that franchise partners in smaller cities are “more attentive and serious with their business”. From 194 stores in 74 cities, FNP wants to double its retail presence by 2015-end, take its wedding vertical international and expanding the e-commerce arm, which currently delivers across 155 countries worldwide. 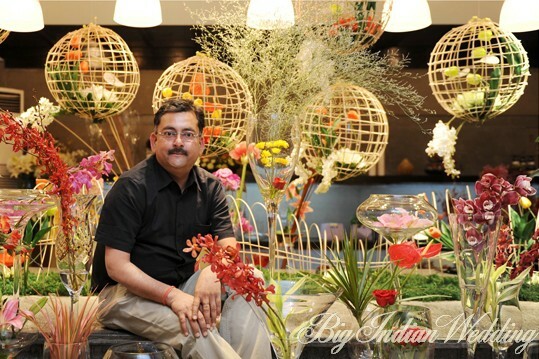 Not bad for a man who at one time never believed in flowers as a business.Beginningwithhumblestartwith a single store in Delhi as a flower and gifts retailer it has now established its business into FNP Retail and Franchising, FNP Weddings and Events, FNP E-commerce, FNP Select, FNP Wedding Design Hub, FNP Floral Design School, FNP Gardens.